April 2015 | La Petite Noob | A Toronto-Based Fashion and Lifestyle Blog. With the weather being a little chaotic this April, I feel as though I've been either questioning if summer has arrived early or cursing the fact that I've retired my parka in storage for the winter. This past weekend was a nice break of consistent, if a little chilly, sunny Spring weather. I chose to celebrate by wearing one of my favourite colour combinations - grey and white. White denim can be a little tricky, especially if you're on the curvy side like I am. My solution is to always go with a cropped pair so that your ankle is exposed. If you're cautious about adding a pair of white jeans into your wardrobe for the Spring and Summer, try finding one that hits a bit above the ankle. I guarantee that you'll love the results! Read on for additional photos and outfit details. 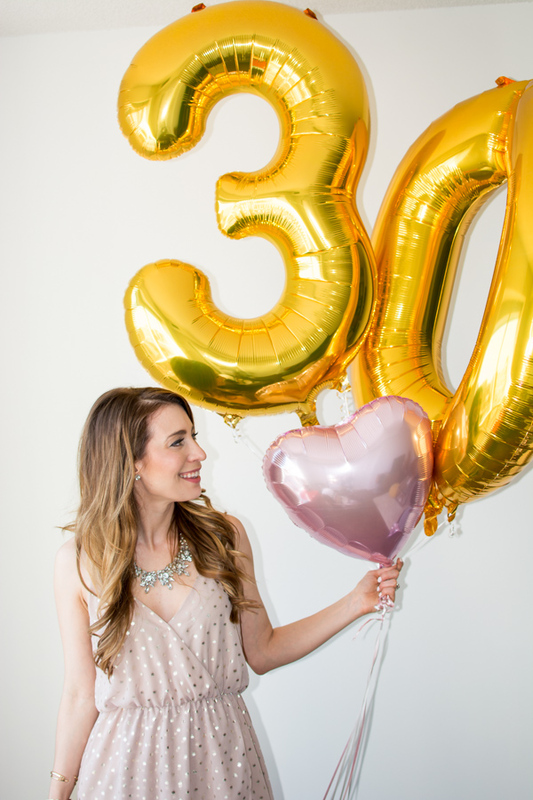 Get ready for the biggest 30 before 30 update that's happened in awhile - I turned 30! Yes, over the weekend this Noob celebrated her thirtieth birthday surrounded by friends and family. Between the chaos that has been my life lately, I've barely had time to think about hitting this milestone so the day before my birthday it really hit me hard. I couldn't believe that I would be turning an age that I had deemed so old during my twenties. 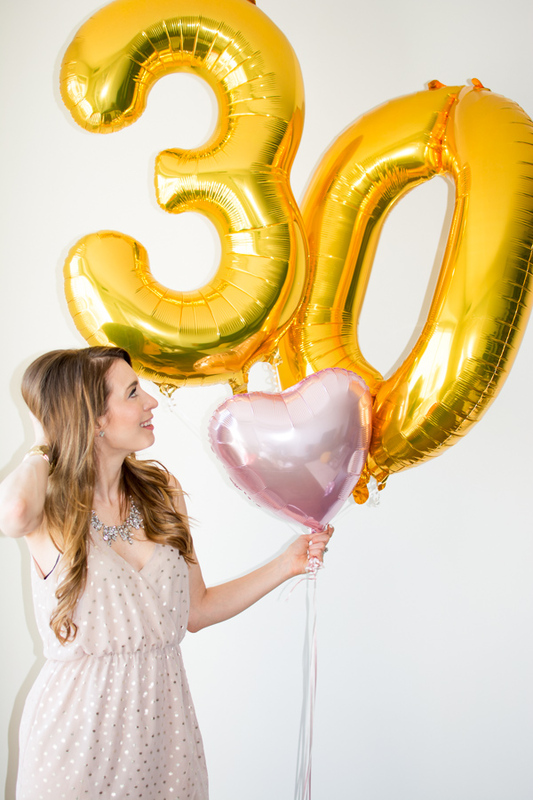 As it turns out, being thirty feels no different than 29 - well, other than the fact that a few glasses of champagne are a lot harder to handle the next morning. You'll notice while browsing through my 30 things to do before 30 list that there are a few tasks left unchecked. In the next couple of months I definitely intent to complete the list in its entirety and will be, of course, blogging along the way! I wanted to take this opportunity to genuinely thank you for following along with my journey, your words of encouragement and just being there in general! Blogging has been one of the best discoveries that I've made this past year, and it's only been made sweeter by knowing that I have your support. 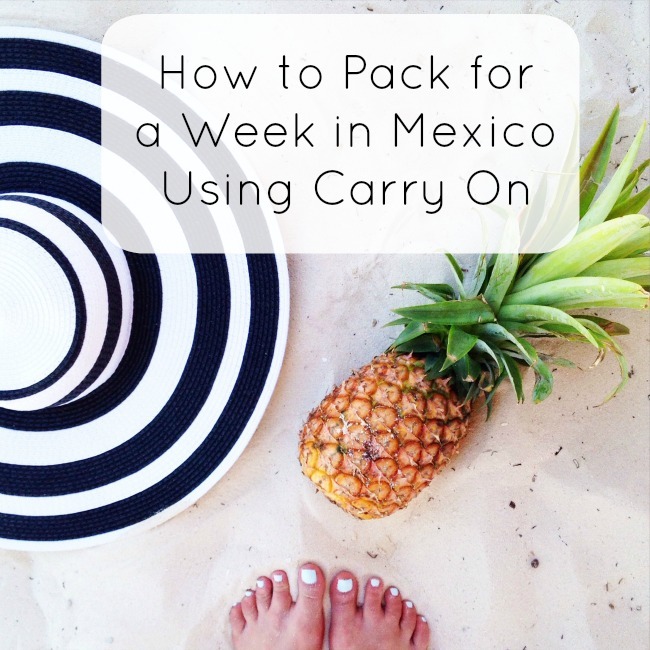 I'm off to Mexico for the next week, so we'll catch up very soon! In the meantime, please follow along my adventure through Instagram - let's stay connected! This past Easter weekend I was lucky enough to spend time surrounded by family at my parent's cottage. This is my first year being at a cottage during the colder months and I have to say: I'm charmed. The scenery is absolutely breathtaking and the crisp air was just what this city girl needed. Not one to ever dress properly for an occasion, while my family was lounging in comfy sweats and warm plaid, I was channeling the 70s in vintage [faux] fur, a patterned dress and my favourite hat. Sure, I may have gotten more than a few confused looks from the neighbours but I stand by my outfit choice. Hey, if you can't have a little fun with family at the cottage, then when can you? Read on for all outfit details and additional photos. Long time, no post! Seeing as how it physically pains me to be away from the blog for an extended period of time, I typically try to reserve hiatuses for traveling or big life changes. 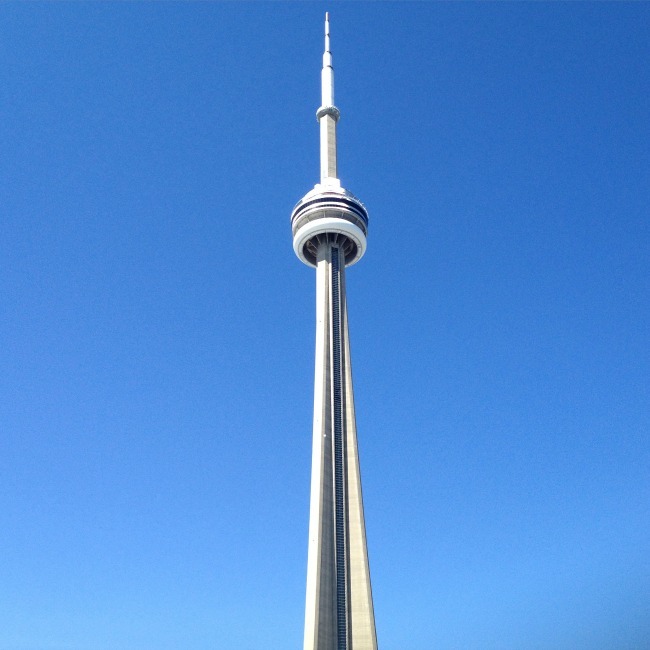 Well, this past weekend was big, stressful life change for me as I finally made the big move from Port Credit to Toronto. Moves are never fun so I'll spare you the gritty details, but the end result is so worth it - I love our new place and area! Brian and I are living in Old Town, Toronto. 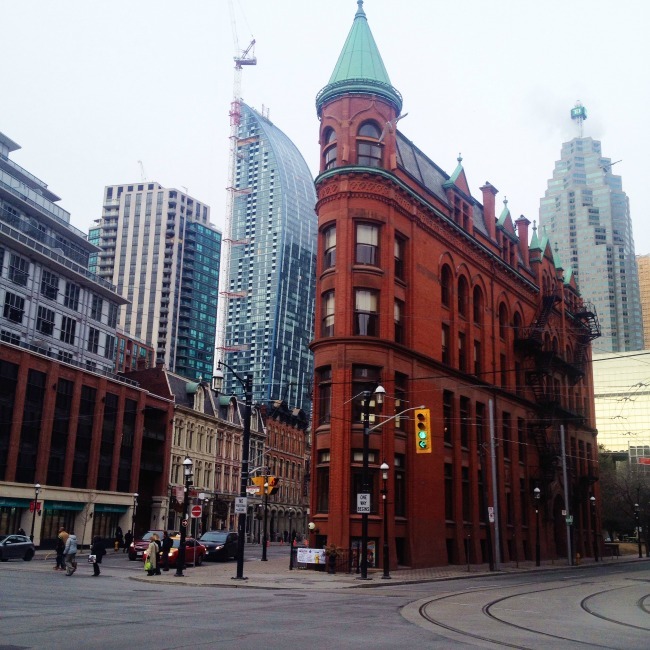 I've always been drawn to this area because of the juxtaposition between the old brick and stone buildings and the new, all-glass condos and sky scrapers. The photo above, although taken on a grey day, is extra-exciting to me since it was taken on my walk to work. That's right, this Noob was made for walking and that's just what she'll do! Can you tell I'm excited? Another benefit of living in the city is the plethora of food options available within a stone's throw. The chaos of moving served as a perfect excuse to delay doing groceries and instead get started on sampling some of the restaurants around us. 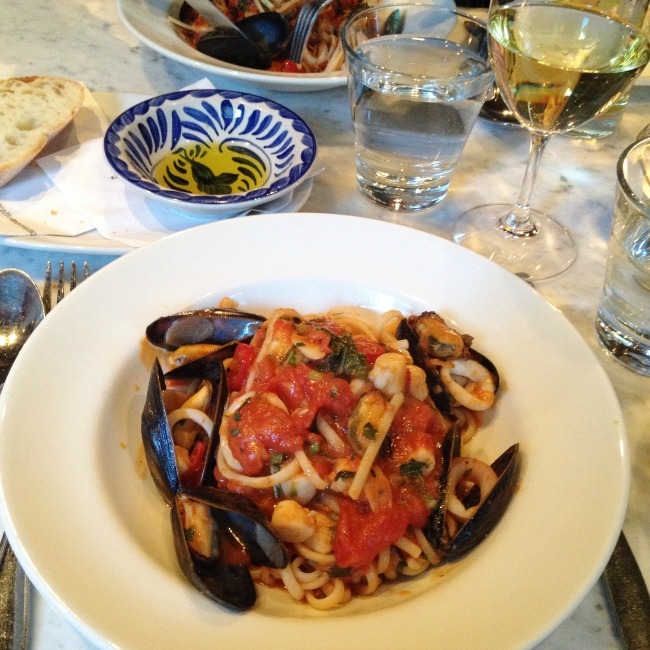 This seafood linguine is what dreams are made of! 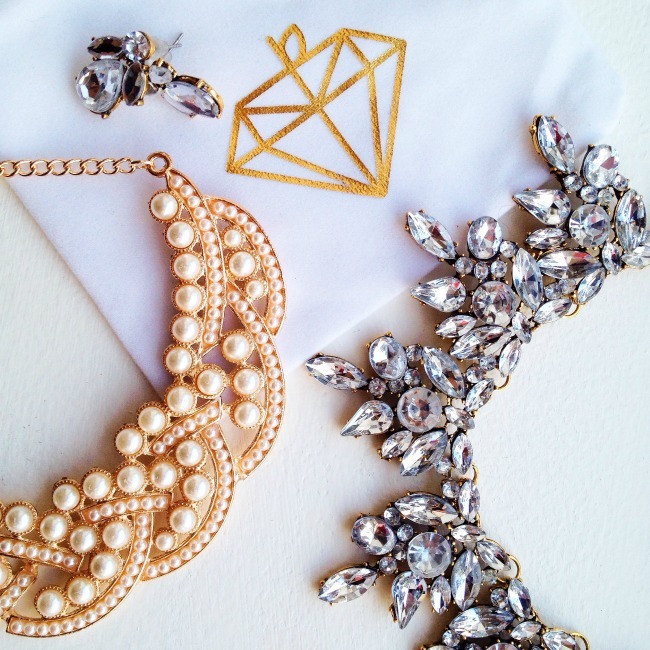 I received the most beautiful package from a new Toronto-based jewellery company called Cherrypick. These necklaces are so sparkly and gorgeous, and I'm even more motivated jump back into OOTD posts and style these beauties up! Phew! I feel like this post has been all over the place, but such is my head lately. I'm excited to get back to blogging and regular material very soon! Thank you so much for reading, and for your support!